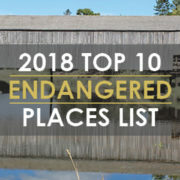 Be part of saving a place that matters to you by nominating an endangered place for inclusion in the 2019 Top 10 Endangered Places List. The Top 10 List shines a national spotlight on historic places at risk due to neglect, lack of funding, inappropriate development or weak legislation. 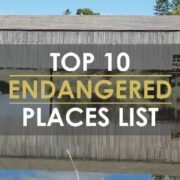 Nominate a place for inclusion in the Top 10 Endangered Places List by filling out our online nomination form here. The nomination period closes on March 29 at 11:59 p.m. (EDT) and the List will be released in May. 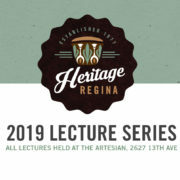 This Thursday Heritage Regina will present the second lecture in its Winter Lecture Series titled Threads that Bind: The Connections Between Society, Art, and Architecture. Local architect and P3Architecture partner James Youck will lead attendees in a study of Regina’s cultural and societal context, as seen through the lens of the city’s ever-evolving architecture. From the grand scale of the Saskatchewan legislative building to the intricate detail of some of Regina’s early residential homes, Youck will explore Regina’s past, present and future using some of the longest-lasting historical legacies we leave behind: the structures we build. “Looking for connections between society, art, and architecture reminds us that our built environment does not occur in a vacuum, but it is a representation of our culture and world view,” said Youck. Interest in Regina’s architectural roots recently gained prominence as advocates successfully fought to secure heritage designation for The Cook House. Heritage Regina hopes that Thursday’s lecture will provide interested citizens with a better understanding of the importance of designations like these, and the contextual underpinnings on which they are based. Threads that Bind is one of five unique events which will cover topics ranging from Regina’s previous airports to famed architect Frank Lloyd Wright. Heritage Regina was founded with the goal of preserving historic Regina buildings, landmarks and Intangible Cultural Heritage, and offers a growing number of events and programs for the public including a summer walking tour series. The organization is proud to partner with the Artesian to deliver the 2019 Lecture Series. Sponsorship for the series is provided by the City of Regina and The Civic Museum. The Top 10 Endangered Places List shines a national spotlight on historic places at risk due to neglect or lack of funding. The List brings media attention and gives a welcome shot in the arm for local groups involved in challenging campaigns to save places that matter. As part of its 100th anniversary celebrations, the Canadian Construction Association has signed up as the sponsor for the National Trust’s 2018 Top 10 Endangered Places List. For decades, this iconic Depression-era swimming facility was a social hub for the residents of Moose Jaw, hosting dances and weddings, and was the training pool for Moose Jaw’s first Olympian, Phyllis Dewar. Originally fed by a nearby mineral hot spring when it opened in 1932, the facility continues to be a major component of the civic facilities in the centrally located Crescent Park. Why it’s endangered: Despite recent investments from all levels of government to update the change rooms and to repair the adjacent outside pool, the Natatorium’s indoor pool has been abandoned for 20 years. Calls for private sector partnerships have been unsuccessful, and while municipal officials struggle to find a sustainable vision, the potential for demolition threatens this community landmark. 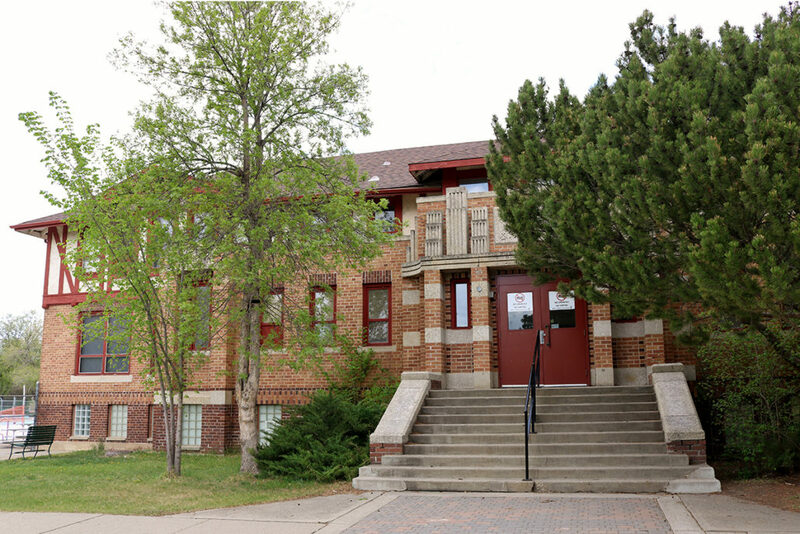 Of the almost two dozen residential schools that operated in Saskatchewan, Muscowequan – operating from 1889-1997 – is one of the last remaining. The imposing three-storey brick building which now stands on the site was erected in 1931, after the previous building burned to the ground. The school had a profoundly traumatic impact on generations of Indigenous peoples in the Qu’Appelle Valley and beyond. 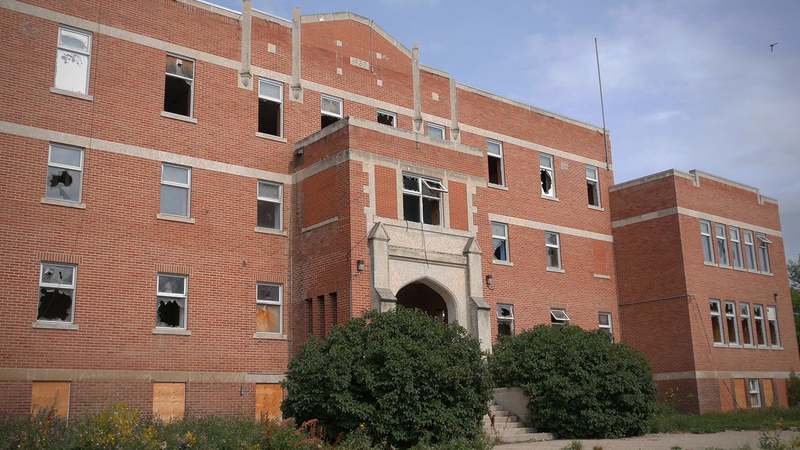 It is a wide-spread belief amongst local Indigenous communities that the former school should be preserved as a site of memory and conscience for all Canadians. Abandoned since 1997, the school is deteriorating and evidence of its dark history is being lost. The Muskowekwan First Nation – on whose land it now sits – does not have funding to implement its vision for a museum and site of memory in the rehabilitated school. The First Nation recently received a grant to board up the vast building’s windows, but vandalism and deterioration continues. Built in 1925, this one-storey brick industrial building is one of a rapidly dwindling number of boomtown structures in Old Strathcona, a historic district experiencing unprecedented development pressure. The threat of its demolition has spurred a groundswell of support for the modest building, and a city-wide discussion on the need to save the unsung places that make Edmonton special. As of May 2018, the City of Edmonton is considering the owner’s request for a demolition permit. City officials negotiated unsuccessfully with the owner for three years to try to incorporate the building into a new development on the site, zoned in 1987 for up to 12 storeys. The City has been hampered by the Alberta Historic Resources Act, which, unlike legislation in most other provinces, requires municipalities to compensate owners for lost development value when it proceeds with heritage designation without the owner’s consent. 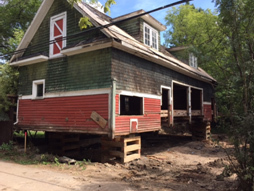 The City has limited funds to incentivize heritage rehabilitation. There is an urgent need for provincial and federal incentives to encourage heritage projects of this magnitude. Built around 1907, the Manie Opera Society (also known as the Kwong On Lung Building) is the oldest building in downtown Lethbridge’s Chinatown district and has served as a grocery, household goods store, and restaurant. The two-storey, flat roofed, stucco commercial building speaks to Chinese emigration to southern Alberta in the 1880s and 1890s and the once thriving Chinese Canadian commercial neighbourhood. The Manie Opera Society was designated as a municipal historic resource in 2014. In 2013, the City of Lethbridge declared the Manie Opera Society structurally unsafe following a heavy rain. 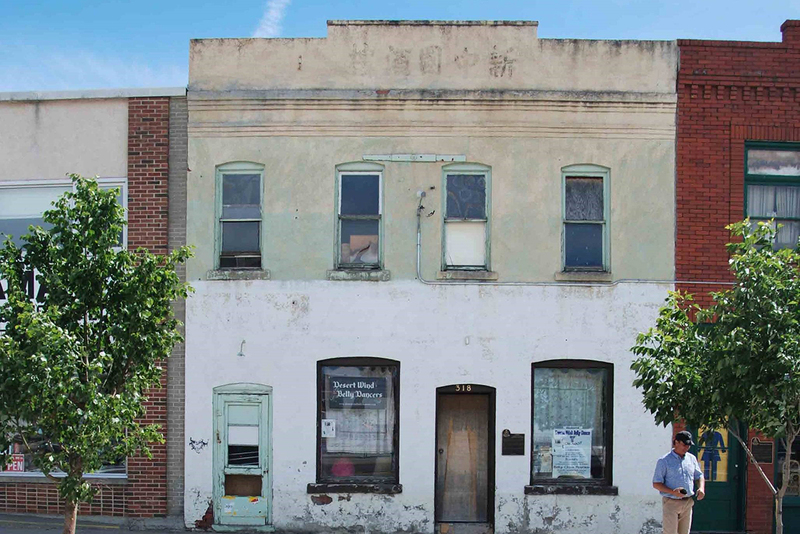 The current owner – son of the original builder/owner and also owner of the historic Bow On Tong Building (1919) next door – does not have the funds to repair the building and is reluctant to sell. 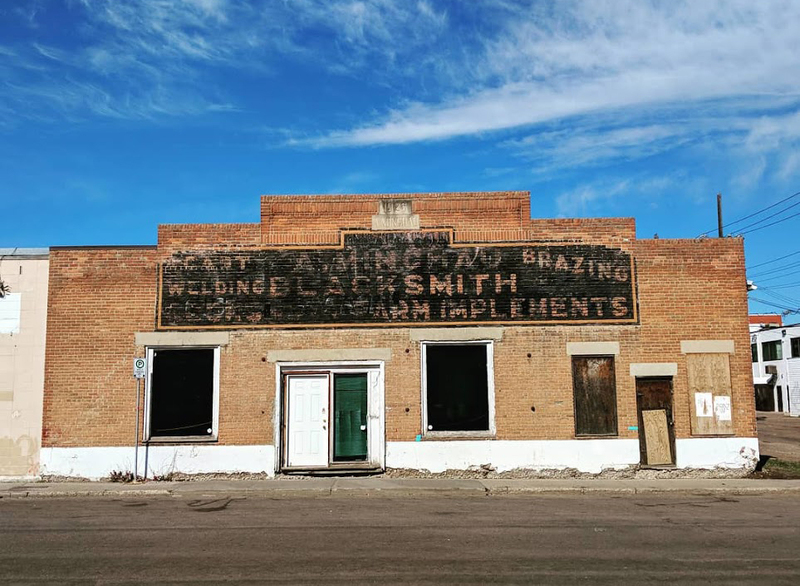 The “Save Chinatown Lethbridge” community group, Downtown Lethbridge Business Revitalization Zone, and other community voices, have been actively trying to bring attention to and find a rehabilitation solution for this exceptional and imperiled heritage property. Built in 1942, Hangar 11 is one of only two remaining Second World War-era hangars built through partnership with the US Air Force at the former Blatchford Field (later Municipal Airport) near downtown Edmonton. It is part of the Northwest Staging Route, which was a series of airports developed to assist the Lend-Lease program during World War II. The Edmonton airfield helped move thousands of American bombers, fighters and transport planes though Edmonton to Alaska and finally to Russia, in what become a crucial program in the Allied war effort. 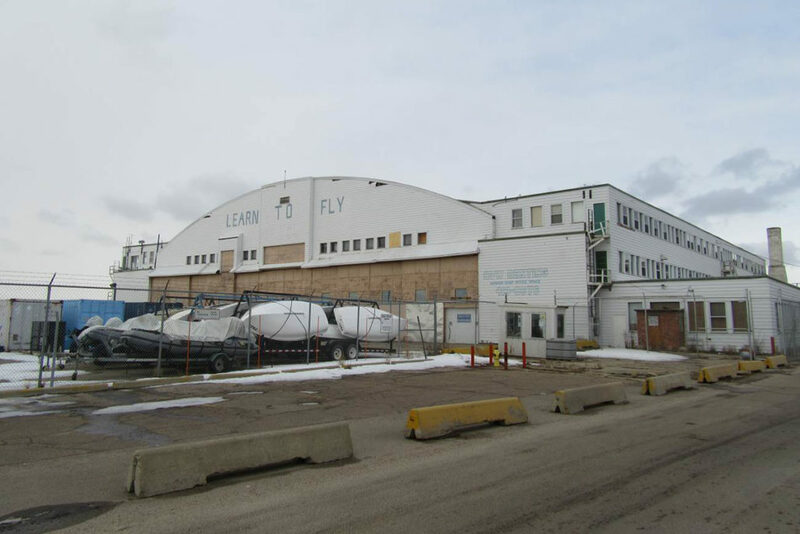 Apart from Hangar 14 (a Provincial and Municipal Historic Resource and now home to the Alberta Aviation Museum), Hangar 11 is the only remaining aircraft building on the former airfield, one of the most significant cultural landscapes in the Edmonton area. Hangar 11 is listed on the City’s Inventory of Historic Resources, but is not protected by formal designation. Edmonton City Council has approved the redevelopment of the overall Blatchford Field site to accommodate 30,000 people and create a model “sustainable” community. The City Centre Airport was formally closed in 2014 and the adjoining hangars expropriated, paving the way for the redevelopment. The objective is to redevelop the site, and according to current planning documents, the retention of Hangar 11 is not being contemplated. Hangar 8, another 1942 hangar immediately next to Hangar 11, was torn down in 2016. A similar fate awaits Hangar 11. 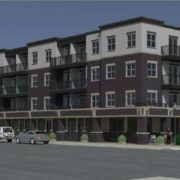 The Edmonton Historic Board and the Edmonton Heritage Council have expressed their concerns. 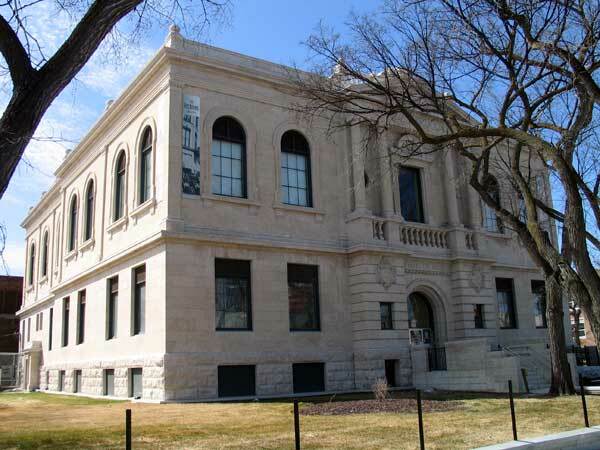 Built in 1903 with funds from US philanthropist Andrew Carnegie, this imposing classical style limestone building was Winnipeg’s first fully functioning public library. For decades, the library had some of the highest circulation in Canada, and was designated a heritage site in 1984. It ceased to function as a library in 1994 and then became home to the City of Winnipeg Archives. Closed in 2010 for construction and upgrades, a torrential June 2013 rainstorm tore the roof off the building and damaged the archival records. The Archives subsequently relocated to a temporary home in an industrial park. Four years later, the former Carnegie Library remains empty and in limbo with no funds allocated by the City for restoration, and an active search is underway for a new long-term home for the Archives. At City Council on Monday, Sept. 26, the pilot project for laneway suites was approved. Heritage Regina presented on behalf of 2990 Albert Street, the Hill Coach House. Read the presentation. 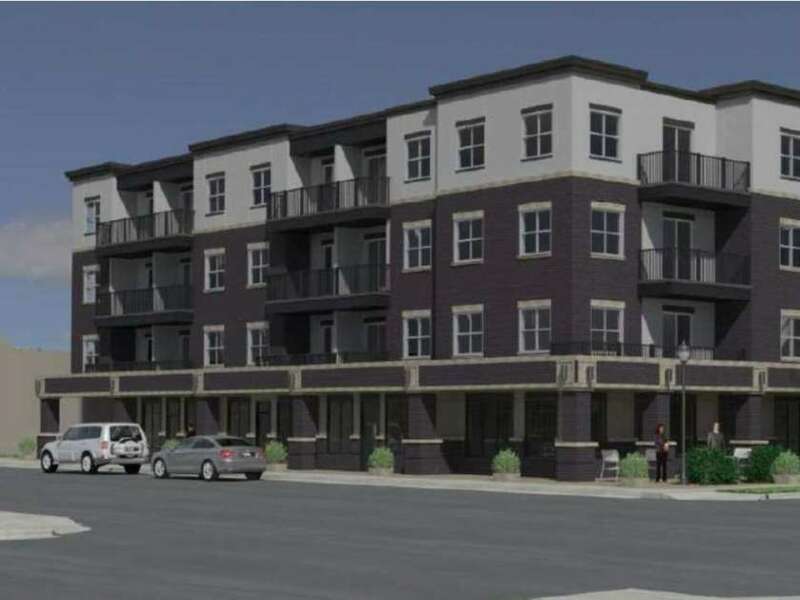 Heritage Regina made a presentation to City Council on July 26, recommending that an application to develop a four-storey apartment complex at Elphinstone St. and 13th Ave. be denied. At the end of a marathon session of public presentations, the majority of city councillors agreed. 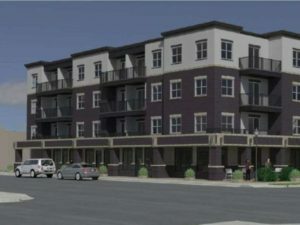 “Projects like these should not be rubber stamped because it brings development and money into the city,” Robert Hubick told councillors, speaking on behalf of Heritage Regina. Heritage Regina’s presentation expressed concern that the building’s proposed height and massing were out of scale to the neighbourhood’s historic streetscape. An earlier compromise proposal from the Cathedral Area Community Association to reduce the building’s size and surface parking needs had been rejected by the developer. Heritage Regina also questioned the developer’s statement that an adjacent house to be torn down for the project was irreparable, noting that most Cathedral Area homes require regular upkeep of their foundations. “In the majority of cases, the homeowners replace, brace or fix them. Is it the city’s position that all houses with basement problems in the Cathedral area be bulldozed?” Hubick asked. In total, 19 presentations were heard from individual residents, the developer’s consultants, the Ecole Connaught Community School Council, the Protect Cathedral Group, and the Cathedral Area Community Association, with the majority speaking against the project as proposed. CACA president Theresa Walter voiced neighbours’ concerns about loss of backyard privacy and sunshine, increased traffic, and having a “large, square box” at an entryway to the neighbourhood. She urged Council not to set a precedent that would open the door to large-scale commercial development in zoned residential areas. After hearing all the delegations, Councillors voted to accept the Planning Commission’s recommendation and deny the development. The meeting wrapped up just after midnight, at 12:12 a.m.
Amidst the hustle and bustle of the holiday season we pause to consider the year about to close and the one soon to come. Heritage Regina marked considerable achievements in 2015, which will be detailed in upcoming newsletters that are the beginning of the new services suggested by you our members. These changes all reflect our vision, which is to cultivate appreciation of Regina’s heritage and its significance to the cultural legacy of our community. None of this of course could be accomplished without you. Your support enables your Board to sound your voice in the community so that Regina’s heritage continues to be celebrated. 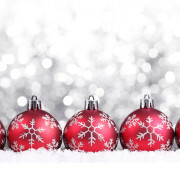 On behalf of the Board, may I express gratitude for your support and the hope that the gifts gathered around your Christmas tree include good health, happiness and the celebration of your personal heritage. Eight steps down a usually barricaded staircase, there’s a red metal door. Five more steps and six inches of moussey mud is the base of a 200-square-foot room. It’s dank and pitch black, but spending two hours inside feels “pretty normal” to Julie Mushynsky. She has spent a lot of time in dark, dusty, cockroach-ridden caves doing archeological PhD research on the Western Pacific island of Saipan. Last weekend, after Google had led her to the bunker in Gail and Ted Bowen’s backyard, Mushynsky surveyed the place. Made of concrete and steel, it’s plain and relatively massive. Shine a light on the eight-foot-high walls and the only decoration is a pencildrawn profile of a horse. “It’s a big bomb shelter. I didn’t really expect that to exist in Regina,” said Mushynsky. Her first local bomb shelter visit – also in Lakeview – was in May. She learned about the “big cellar” in the basement of a Leopold Crescent residence in the tag line of a Leader-Post article. It was an eye-opener; she had never considered that there were bomb shelters in her hometown. Flinders University in Adelaide, Australia, where a colleague had studied local bomb shelters. “It wasn’t really expected that Adelaide would get attacked during World War 2, but they still have these elaborately built bomb shelters,” said Mushynsky. Similarly, she added, “Why were people in Regina – pretty distant from the centre of conflict and unlikely to be bombed – what made people decide to create these shelters?” She hopes to glean more information from people’s memories. So far, she can speculate these structures “would be expensive to build,” so wealthy people may have been more likely to have them. Mushynsky doesn’t know if they were Second World War constructions by people fearful of German air raids, or products of the Cold War in preparation for a nuclear holocaust. James Pitsula says there was widespread fear during both eras. “It was in the news all the time; there was kind of this dangerous situation that people would obviously be afraid of,” said Pitsula, a long-time University of Regina history professor, now retired. Pitsula was a 12-year-old in Nipawin during the Cuban Missile Crisis. He remembers the clickety-clack of a reel-to-reel projector as a film instructed his young classmates what to do in the event a nuclear bomb was dropped. “I remember going home and telling my parents about this film and wondering what was going to happen,” said Pitsula. Mushynsky is hoping to view any and all bomb shelters in Regina. If you have one, email juliemushynsky@gmail. com. 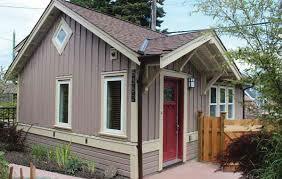 The Carriage house was built in 1911 at the same time the house was being constructed for Walter Hill. Both were designed by the short lived association of the architects Clemesha and Coltman. Mr. Hill’s affinity for agriculture may have inspired the construction of the carriage house. It housed a flock of chickens, horses, grain storage, two bays for carriage storage, and an ice house. Above on the top floor there was a small suite heated by a wood stove and a generous hay loft. The suite was said to have housed the gardener and his wife, the laundress. 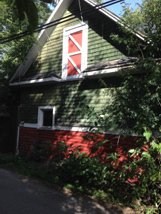 This is one of the last three carriage houses in Regina, the last to exist in its original state. Its presence offers a glimpse into the history of early Regina when the line between urban and rural living was quite blurred. The house was one of the most prominent properties when built on Albert Street and to this day attracts attention as an example of Jacobean architecture it has been stated that Mrs. Hill fell in love with this style of architecture during a visit to England and had the plans for her new house on Albert street drawn up one quarter scale to replicate this style. 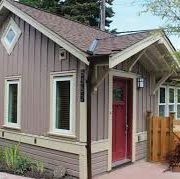 The Carriage house at the back of the property is an example of English Arts and Crafts style that become popular in north American during the late 1800`s. This building has deteriorated over the years due to obsolescence. Animals and feed storage are not required nor is a large ice house. Fortunately over the years the building has been tarped by Mr. Michel for preservation while alternate uses were being investigated. The carriage house, along with the main house and grounds, was designated as a Municipal Heritage Property in August of 1992 by its owners at that time Wilfred and Heather Meagher. Saving the carriage house takes a lot of work and perseverance, and the present owners Joe Michel and Tammy Kwan are taking the necessary steps to do that. Heritage Regina hosted five summer walks in 2015 and more than 128 walkers participated. The walks ranged from retracing the path of the tornado of 1912, a stroll around Wascana Lake, a walk around old Lakeview, exploring the historic McNab Neighbourhood, to discovering the almost lost footpaths of old Regina College. Every year there is a surprise on the tour and the summer of 2015 was no exception. On the walk near Government House the group was shown an early frame house on a pie-shaped lot that seems likely to be the original home of James Watt – gardener to the Lieutenant Governor and his family in the late 19th century. Finding this house seemed to make all of the stories about James Watt and excerpts from his diary real and tangible and was a thrilling discovery for the walking tour group. As organizer of the walks I would like to convey my deep appreciation and thanks on behalf of Heritage Regina to Jackie Schmidt, Will Chabun, Hazel Whippler, Amanda Girardin and Jeanie Mah , all of whom led walks. It is only when we explore on foot and hear the stories of real people who lived and worked in our city not so long ago that we gain a deeper appreciation for our history and where we’ve come from. Heritage Regina is planning another summer of walks in 2016 so let us know if there are particular areas of the city you would like to explore on foot. Heritage Week takes place the week of February 15th, 2016. Heritage Regina will once again be hosting a special event to celebrate Regina’s History. Stay tunes for more information on guest speaker and location. Heritage Regina will be holding their AGM in April, please plan on attending. Date and location TBD. A tour of Chicago and Frank Lloyd Wright architecture will be taking place May 19 -24, 2016 hosted by John and Janet Robinson. For more information contact Robinson Residential.